David Johnson - For the Industry. By the Industry. 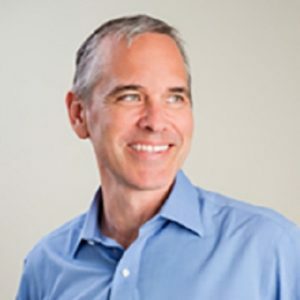 David Johnson is a charismatic leader with a well-earned reputation for innovative ideas, a talent for building world-class management teams and the skill to create leading-edge approaches to technology and processes. In the 10 years since his private equity firm acquired First Associates and he became CEO, the company has grown from a small niche player in the mobile home servicing space into an award-winning, global financial services company that offers B2B solutions across the consumer life-cycle. Under Mr. Johnson’s leadership, First Associates has massively expanded to deliver solutions across Europe, Latin America and Canada as well as becoming a major player in the United States. They have also earned a top Morningstar Credit Ratings ranking, the LendIt Top Service Provider award and gained FCA authorization to manage and administer debt in the United Kingdom. Mr. Johnson has over 25 years of experience across industries including finance, technology, communication and consumer products that gives him a unique insight into today’s financial landscape, as well as a keen eye to future trends and opportunities. Prior to First Associates, he was SVP of Corporate Development at Memec LLC and a consultant at McKinsey & Company and Bain & Company, working with Global 500 clients across North America, Europe, Asia and Africa. In addition to his role at First Associates, Mr. Johnson is a member of the Young Presidents’ Organization, a partner at Social Venture Partners and serves on the board for several other prestigious & successful organizations. Mr. Johnson earned his BS from UC Berkeley and an MBA from the Stanford University Graduate School of Business.